This is not the most recent version. 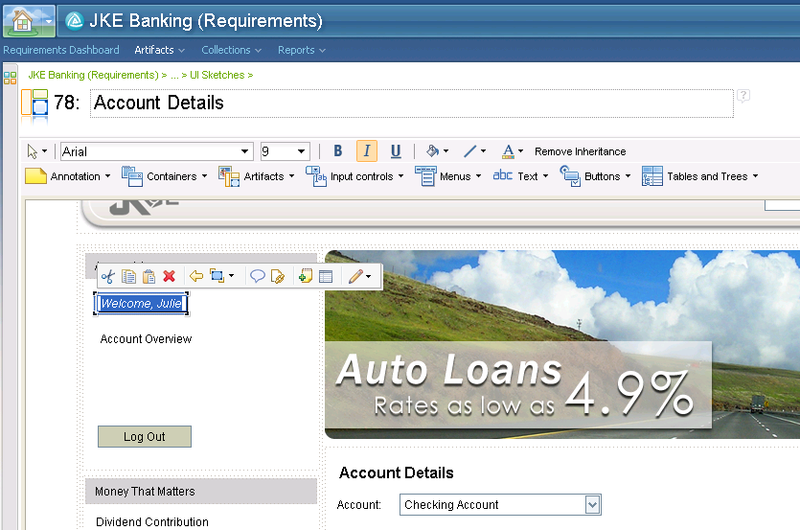 We recommend Rational Requirements Composer 4.0.7 . This is made available for archival purposes and may contain bugs and/or security vulnerabilities. If you do download this version, it is being provided AS IS, without warranties of any kind, including the implied warranties of merchantability and fitness for a particular purpose. We strongly advise you review the support pages for this version and update the product or take actions recommended therein. Security bulletins contain instructions for the security vulnerability addressed therein, and may require upgrading to a newer version. Link to security vulnerability blog: IBM PSIRT blog. 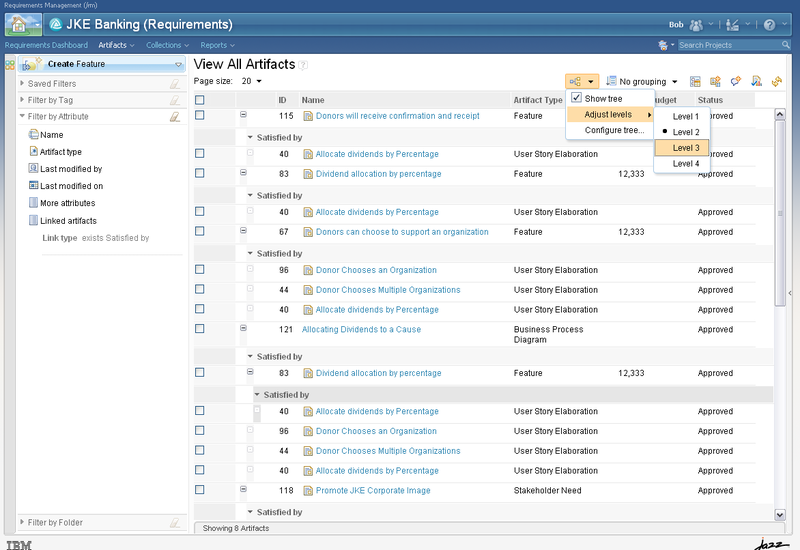 Rational Requirements Composer 3.0.1 "New and Noteworthy"
This is a summary of the main new features and improvements in the 3.0.1 release of Rational Requirements Composer; these changes are over and above the ones introduced earlier in the 2.0.0.x releases. Note that the V3.0 release was renamed V3.0.1 beginning with Release Candidate 3 in order to make it clearer that RRC V3 ships as part of the same install package as RTC 3.0.1 and RQM 3.0.1, and these code levels can run together in the same Jazz Team Server (also included in the install package). This is a summary list. A more detailed discussion of the additions to 3.0.1 can be found in the series of individual new and noteworthy articles for each V3 milestone; They are available from the Requirements Composer All Downloads page. See also Collaborative Lifecycle Management "New and Noteworthy" in 2011 for a description of common features across the 3.0.1 versions of RTC, RQM, and RRC. See the Jazz Foundation 3.0.1 "New and Noteworthy" for a description of features in the Jazz Team Server included in this release. The following are designed to help teams become more effective in "figuring out what to build," improving team alignment and productivity across the program/project lifecycle, and lowering the cost of ownership in enterprise deployments. RRC now supports teams doing requirements management as well as requirements definition; it's no longer necessary (or possible) to use RequisitePro and RRC with synchronized integration. RRC is now a Web-based solution; a workstation-based authoring client is no longer needed or provided. RRC provides the Requirements Management (RM) application as part of the Rational solution for Collaborative Lifecycle Management. 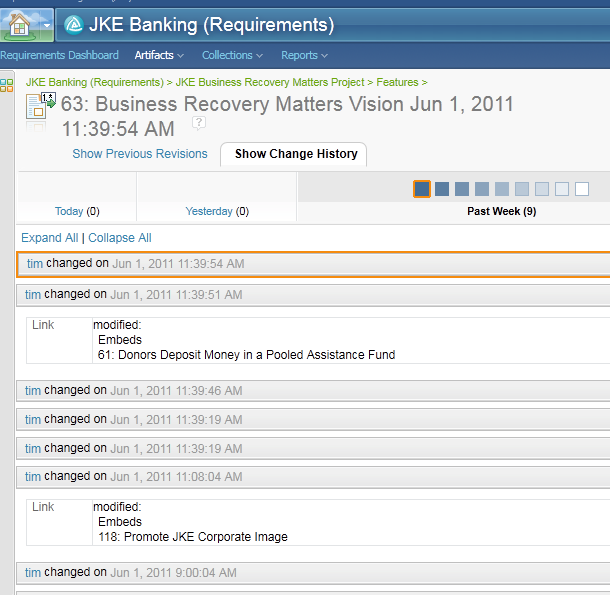 The Change Management (work item) and Planning capabilities are now included in the RRC license. Licensing has been extended to enable Contributor access across the CLMs, reducing the number of individual products licenses a team needs. These capabilities can now share an administrative domain and support single sign-on. Server operating system support has been expanded and now matches Team Concert and Quality Manager. A strong type system and good templates encourage cross-project consistency, infuse best practices, and encourage reuse. A project administrator defines the type system, including reusable artifact types, attribute types, data formats, and link types. Artifact types can be whatever you need them to be to support your whole requirements information lifecycle: user requirements, system requirements, meeting notes, business rules, process diagrams, use cases diagrams, user interface storyboards, supporting documentation, tech notes, and other artifacts. Link types are a way to express relationships among requirements artifacts and other lifecycle artifacts with a customized set of relationship types, for example Satisfied by, Constrained by, Illustrates, Implemented by, and Verified by. 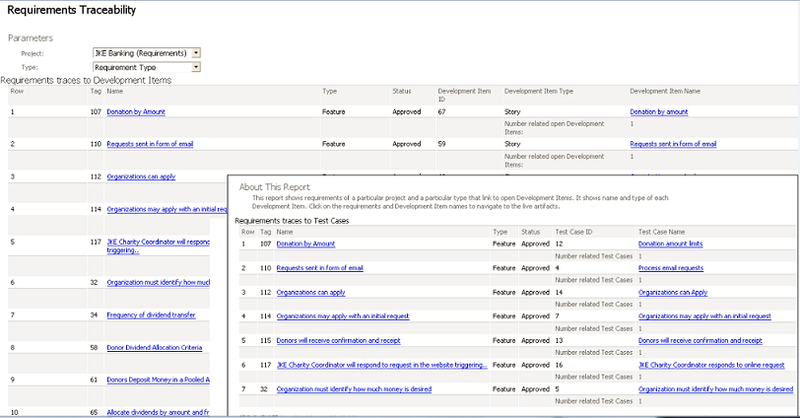 Some link types are defined in the OSLC standards documented at http://open-services.net, others may be tailored to your project and/or organization. 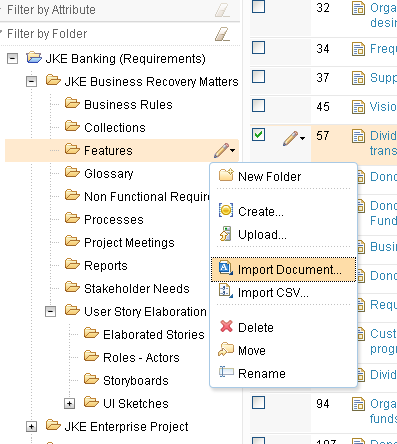 Project templates can be defined to include many kinds of project information. In addition we have improved the project templates we supply with RRC. 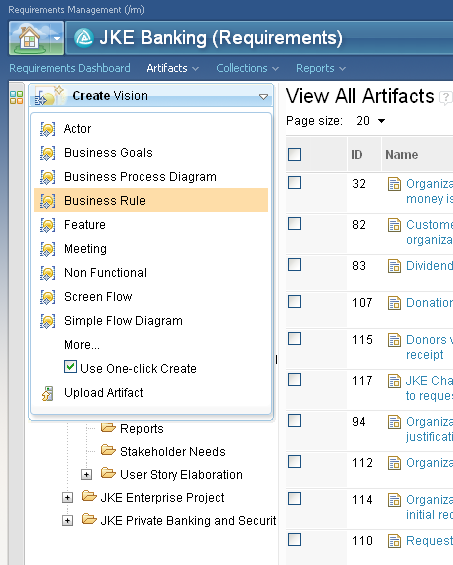 Create and edit requirements artifacts in your Web browser. The Web-based text editor provides common rich text edit controls, integrated glossary term look-up, and ability to embed other artifacts. A common usage pattern is reworking a large, monolithic document into individual, managed requirements - the large document perhaps coming from your customer or full of notes someone took during joint application development (JAD) sessions. New options to "Save as and link" and "Save as and insert" support this usage pattern. The visual editors have been ported to the Web: use case diagrams, business process diagrams, User Interface sketches, storyboards, and screen flows. Editing the graphical artifacts require a browser plug-in, which gets installed automatically, using standard browser plug-in install process. See the release notes for limitations on non-Windows platforms. We have put a lot of effort into improving the user experience, including reducing the number of keystrokes and mouse clicks when creating and editing multiple artifacts within the project list artifacts view. 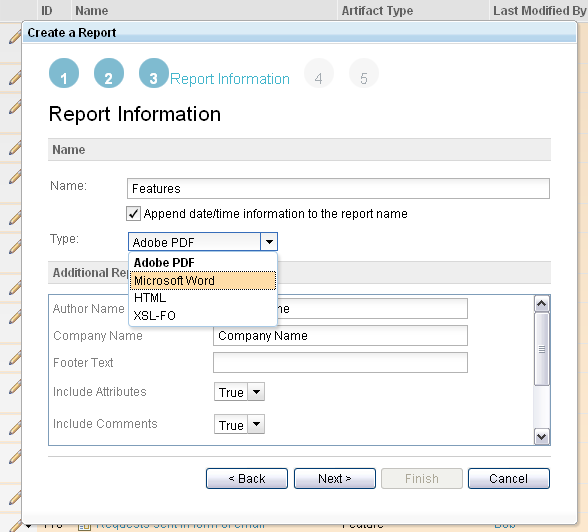 "One click create" speeds creation of multiple artifacts. 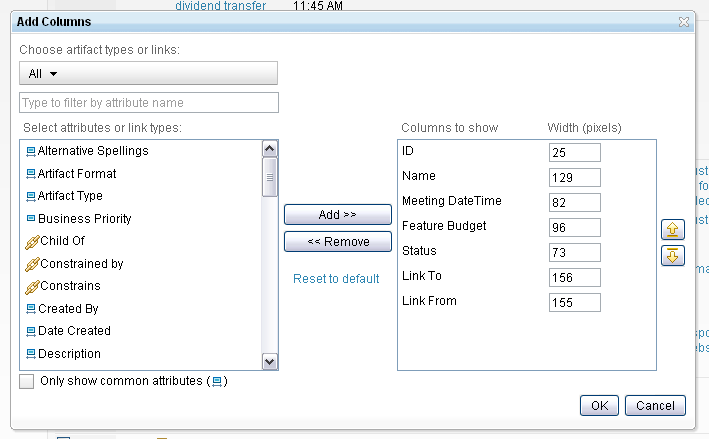 Attribute values can be changed for multiple attributes at one time. Simple text editing of the artifacts is possible in this view as well; sometimes it helps to have the context of other artifacts when editing. Traceability and analysis are at the heart of requirements management domain. 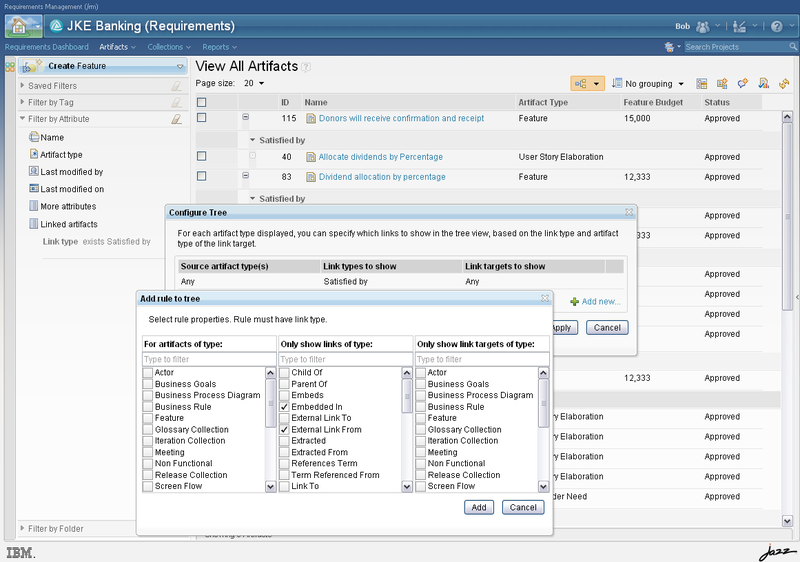 They enable analysts to reason about a requirements set (coverage, decomposition, change) and create reports / specifications out of separately managed requirements in the repository. Development and test teams use this traceability to align their work with the project requirements. Display information in table views. 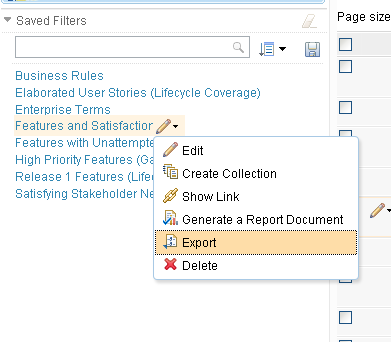 Customize the columns to show the attributes and links you want. 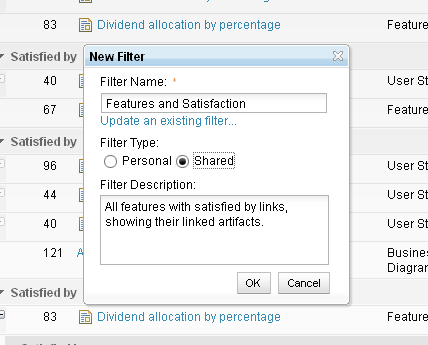 Use filters to select the relevant artifacts (they show up in the rows). Display information in tree views, revealing multilevel traceability relationships among artifacts of various types. These filters include link types, which make it possible to select the relevant relationship types for your immediate purpose. Save the current selections as a saved filter. Make it public to share it with your team, or keep it private for your own use. RRC automatically tracks changes to artifacts and who made the changes. All versions of each artifact are available on-line, as are the changes between subsequent versions. 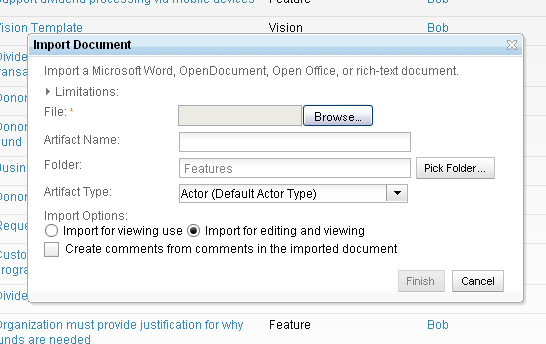 Import Microsoft Word (doc, docx), rich text (rtf), and OpenDocument Text (odt) documents into native Requirements Composer rich text format artifacts for further editing, decomposition, or for reference. 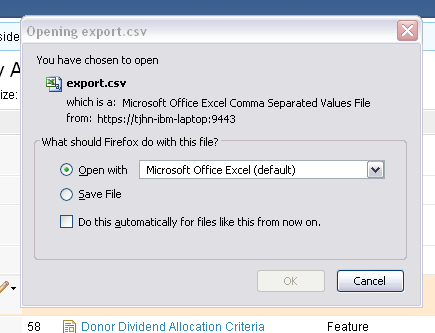 Import and export spreadsheet-oriented information in Comma-Separated Value files (CSV) as specified in RFC4180. 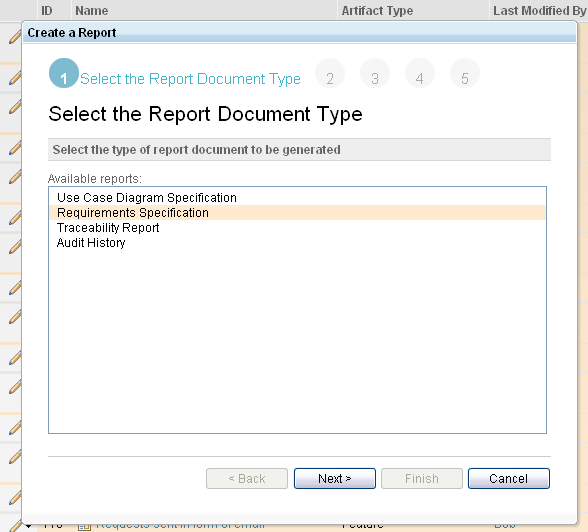 Generate documents from one or more RRC artifacts using report templates and IBM Rational Reporting for Document Generation (RRDG) (both included in RRC). 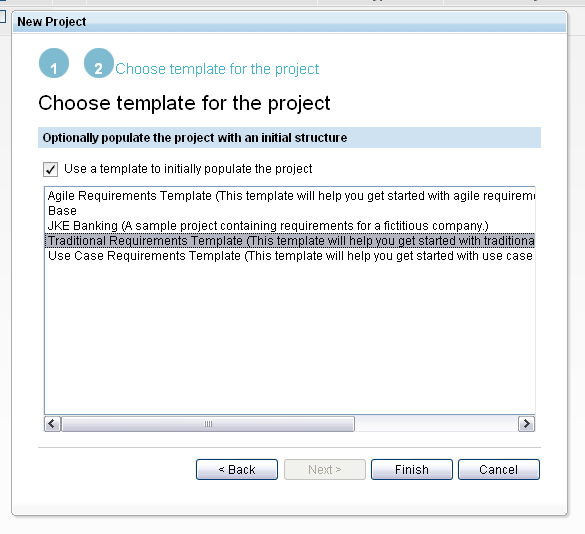 Customize the supplied templates or create your own using the IBM Rational Publishing Engine (sold separately); these templates can be run from within the Requirements Composer web user interface with no additional license required (a change from RRC V2). Output formats include Microsoft Word, PDF, HTML, and XSL-FO. Create reports that include metrics, graphs, and cross-domain traceability with IBM Rational Reporting for Developer Intelligence (RRDI), a data warehouse and web-based reporting engine built with IBM Cognos technology (no additional license required). 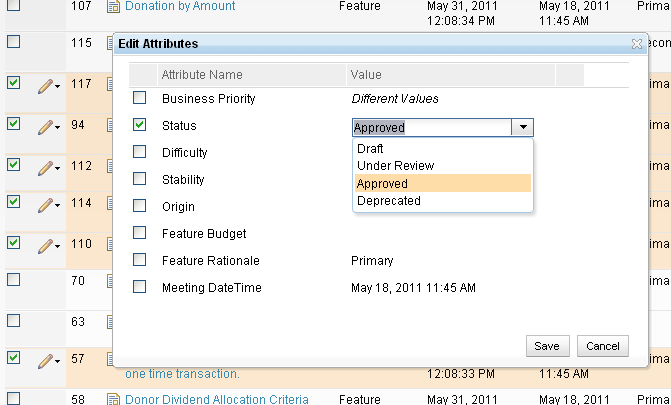 Use IBM Rational Requirements Composer information with Rational Insight (sold separately), which is a superset of RRDI. 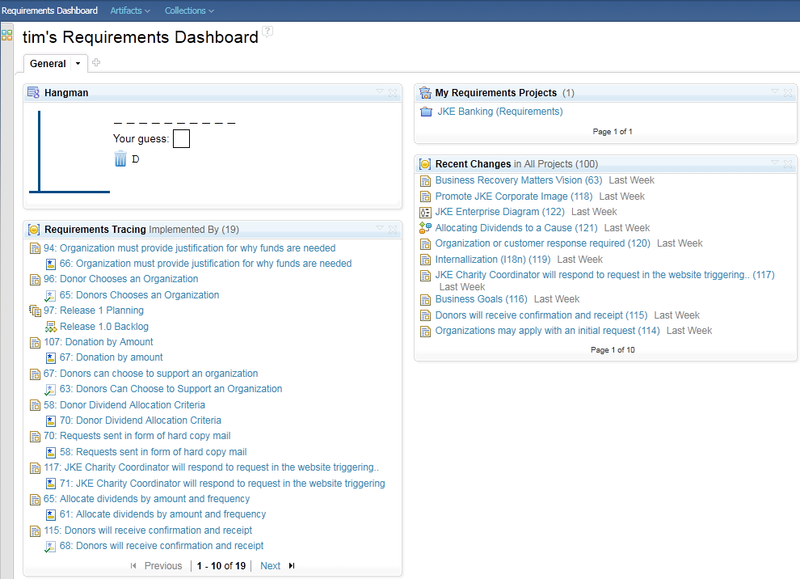 Use real-time, customizable project dashboards. Include widgets from Requirements Composer, Team Concert, Quality Manager, or any server implementing the OpenSocial specification. 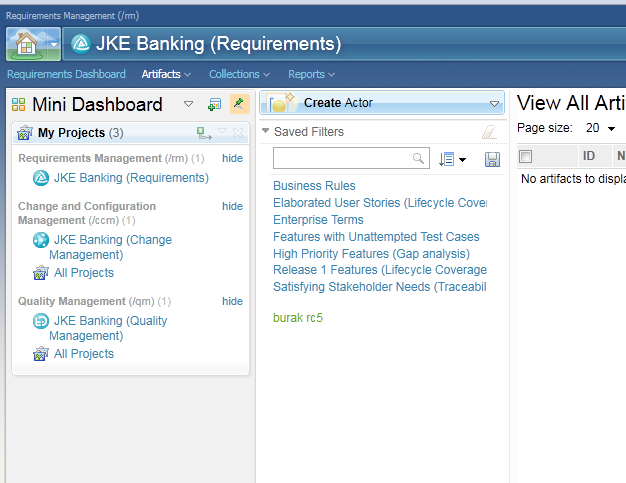 A new sidebar that contains a single-column dashboard has been added to the web UI. The contents of the Mini Dashboard remains consistent as you navigate between web UI contexts. We have significantly improved the cross-lifecycle Money that Matters™ sample application. The information center for RRC, RTC and RQM have been combined, and more goal- and task-oriented help is available. It is now possible to use RRC and ClearQuest together. The integration requires the CQ OSLCLinks package to be applied. There are no limitations in CQ record types you can link to (defect, enhancement, and so on). Requirements Composer has two categories of user licenses: (A) analyst licenses for artifact authors and (B) lower-cost contributor licenses for customers and stakeholders. Contributors have read-only and commenting access to requirement artifacts and can participate in review and approval workflows. Requirements Composer analyst licenses provide contributor access to Team Concert and Quality Manager capabilities, and those team members with Team Concert developer or Quality Manager quality professional licenses have contributor access to requirement artifacts. When these products share a Jazz Team Sever, they share a common user administration domain. 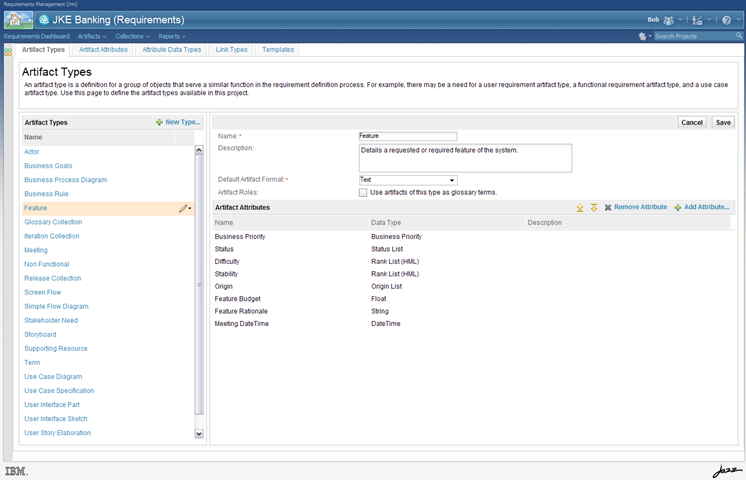 The Requirements Composer licenses provide access to capabilities delivered by the other products. 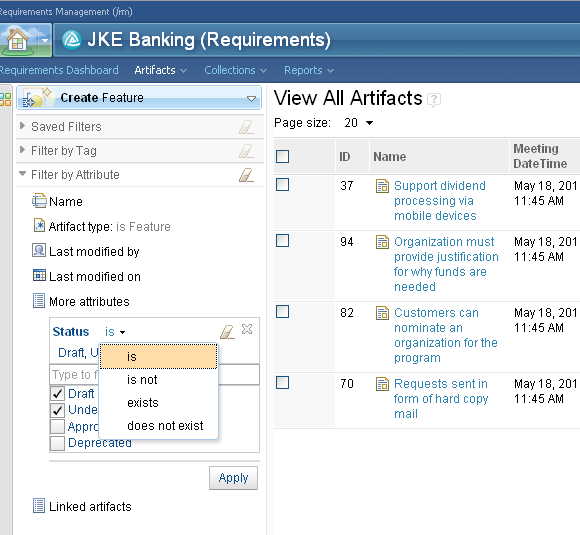 For example, a user assigned a Requirements Composer analyst license has full access (if given necessary permissions by an administrator) to the change and configuration management work item system, the reporting capabilities (IBM Rational Reporting for Document Generation and IBM Rational Reporting for Developer Intelligence), the planning capabilities (agile and formal planning), as well as contributor (read and comment) access to quality management capabilities. Single sign-on is also supported. 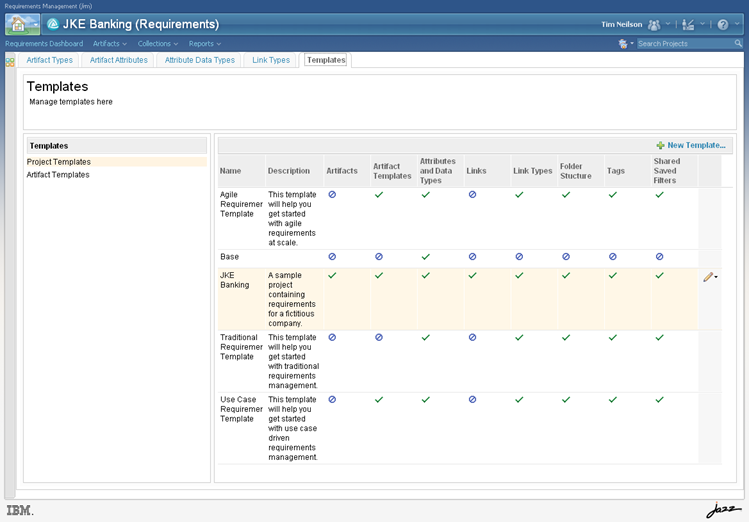 As a newly Web-only product, Requirements Composer will offer improved TCO in large deployments. 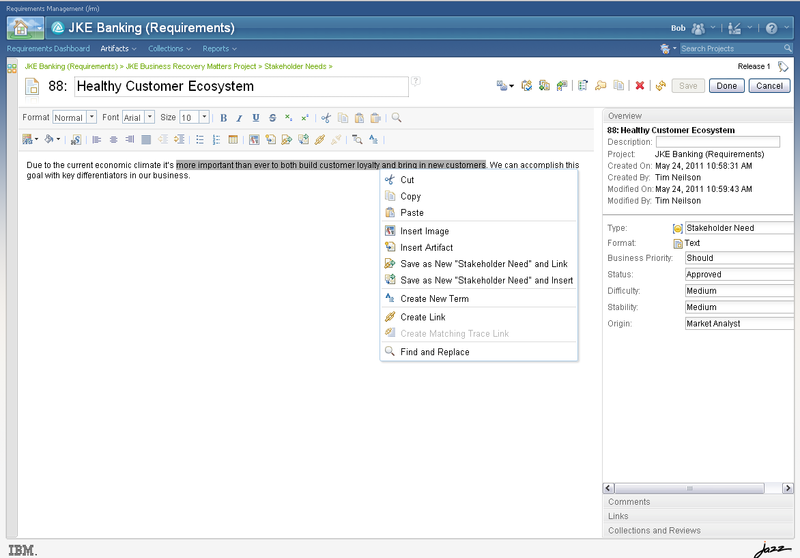 The Collaborative Lifecycle Management products (Requirements Composer, Team Concert, and Quality Manager) are available as a single download and include the Jazz Team Server. 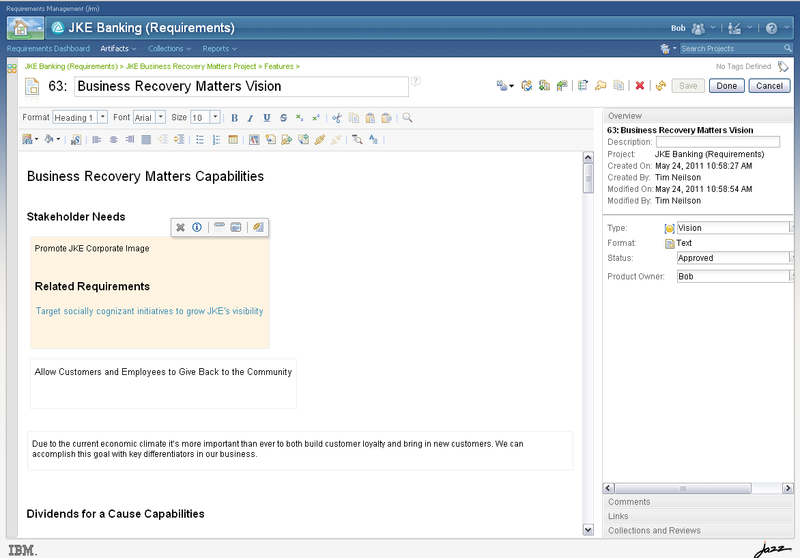 Requirements Composer can run as one application on a Jazz Team Server, sharing the server with Team Concert and Quality Manager (on one or more physical servers). A license for the IBM WebSphere Application Server is now included, and a license for DB2 continues to be included. Requirements Composer server licenses are no longer required; customers who purchased V1 or V2 will find each server entitlement automatically converted to three Authorized User licenses. 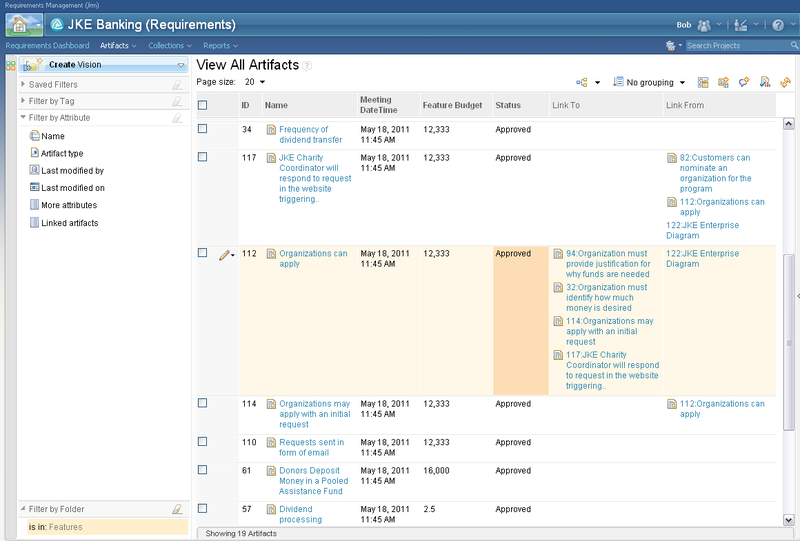 Requirements Composer reviewer license entitlements (sold for V1 and V2) will be automatically converted to Requirements Composer contributor licenses, which provide access to additional CLM capabilities.